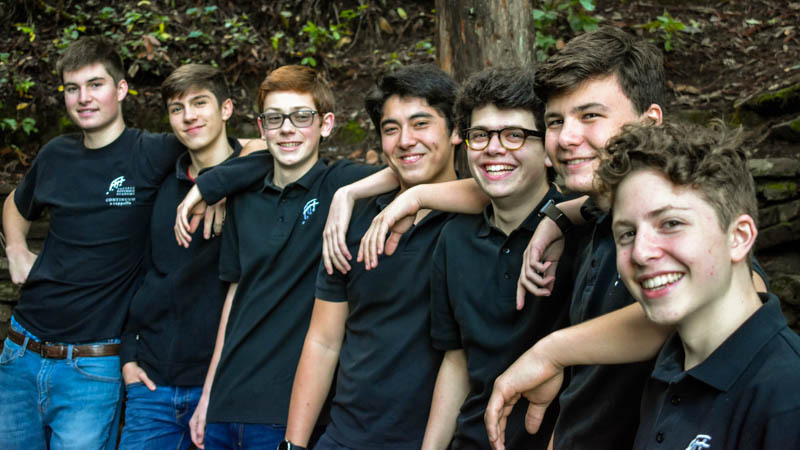 Continuum is the professional, high school a cappella group of Oakland’s GRAMMY-winning Pacific Boychoir Academy. The ensemble performs music ranging from sacred Renaissance motets to contemporary pop hits. The group performs annually throughout the San Francisco California Bay Area and internationally. They have recently released singles, have been heard on the NBC television show “The Blacklist,” and have been top contenders in the national Harmony Sweepstakes. Follow Continuum a cappella on Facebook, YouTube. Founded in 2003, Continuum is a challenging, fast-paced performance choir comprised of young men ages 13 to 18 in high school with changed voices. This group is by audition and is limited to 12 voices. Continuum members read music well and often sing in four to eight parts. Many of these young men have been singing with the Pacific Boychoir Academy for 5 to 10 years. The choir director selects challenging and varied repertoire, making Continuum one of the finest high school-age tenor and bass choirs you'll find anywhere.